The Bureau of Labor Statistics (BLS) reported that manufacturers added 31,000 workers in February 2018. Because this industry’s economic outlook is much stronger, demand and production have improved considerably. Global manufacturing continued to be healthy for the second straight month from December’s pace, which was the fastest since February 2011, according to the National Association of Manufacturers (NAM). Manufacturers have increased employment by 18,876 per month on average since the end of 2016. Manufacturers’ optimism has reached an all-time high about growth and the outlook for their industry. Much of the rising confidence stems from tax reform, negotiating better trade deals, aggressive enforcement of U.S. trade laws, and attention to the country’s decaying infrastructure. According to an NAM survey, attracting and retaining a quality workforce is the second largest concern of survey respondents, with 65.3% citing it as a business challenge. Deloitte and the Manufacturing Institute found that nearly 3.5 million manufacturing jobs will likely be needed over the next decade. Two million positions are expected to go unfilled due to the skills gap. Eighty percent of manufacturers report a shortage of qualified applicants for skilled and highly-skilled production positions. Roughly 8.5% of the United States’ workforce, or 12.5 million people, are employed in the manufacturing industry, says the BLS. Manufacturing jobs can be lucrative. The average manufacturing worker in the United States earned a salary of $82,023, including pay and benefits, says the NAM. The BLS found that the average manufacturing worker earned nearly $26.50 per hour, not including benefits. What Does This Have to Do with Hiring Veterans? Recruiting military veterans for positions such as operations leadership, maintenance and maintenance management, and quality engineering and improvement makes sense for employers. Many veterans already have the skills and technical expertise needed for manufacturing positions when they leave military service. The new era of manufacturing workers must be smarter and better-trained. 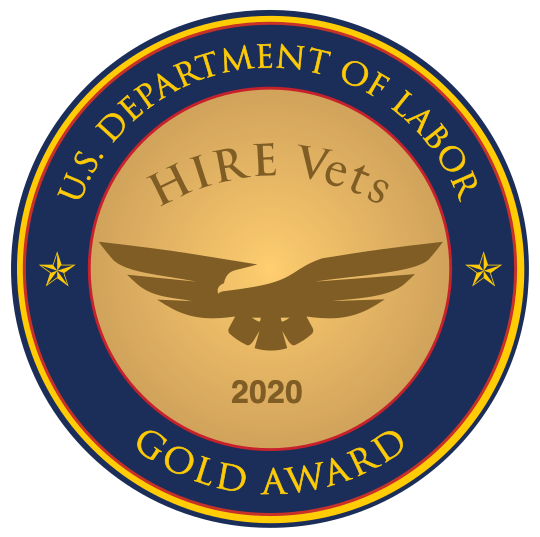 The technical skills, leadership experience, dedication to safety, compliance, and ability to adapt and learn new procedures give veterans a sharp advantage in an industry that is moving forward.